Only 15 percent of Americans responded that a fracture would be better than suffering through the home buying process but one in five believe the home financing process is completely broken. These statistics come courtesy of digital mortgage startup Eave, from its recent Homebuyer Sentiments Survey. The firm commissioned Atomik Research to run the online survey of 2,002 U.S. adults, which took place between December 17 and 19, 2018. Among the other statistics: The home financing industry has a bit of a trust problem. 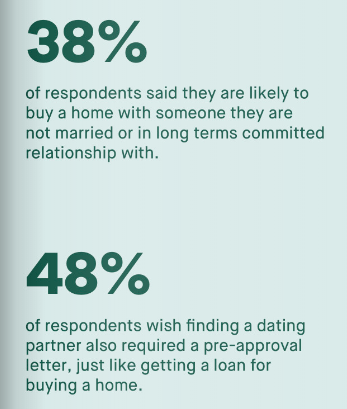 Forty-eight percent of U.S. adult respondents indicated that they believe traditional mortgage lenders will not treat them fairly and 41 percent do not want to even interact with a mortgage lending company or banker when buying a new home. Some other humorous findings? When asked what they would give up to make the whole process less miserable 26 percent responded they would give up their favorite vice (booze, smoking, dessert, etc. ), 9 percent would shave a year off their lives and 5 percent would give up their first born. Additional statistics and data are available from the company’s live PDF of the survey results. The survey results are being announced in concert with Eave’s launch of an expansion to its mortgage suite, which will now include home financing for residences beginning at $32,000 and up to $20 million for California and Colorado homebuyers.